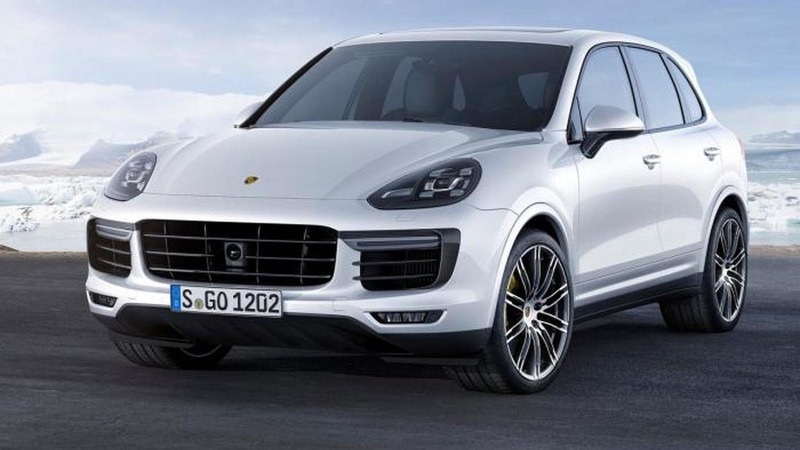 Porsche has introduced the 2016 Cayenne Turbo S at the 2015 North American International Auto Show in Detroit. The range-topping Cayenne model features a re-engineered 4.8-liter V8 biturbo engine that now develops 570 HP (419 kW) and 800 Nm (590 ft-lb) of torque, which is 20 HP (15 kW) and 50 Nm (37 lb-ft) more than before. Thanks to this, the model now accelerates from 0 to 100 km/h (0-62 mph) in 4.1 seconds, which is 0.4 seconds faster than the previous model. 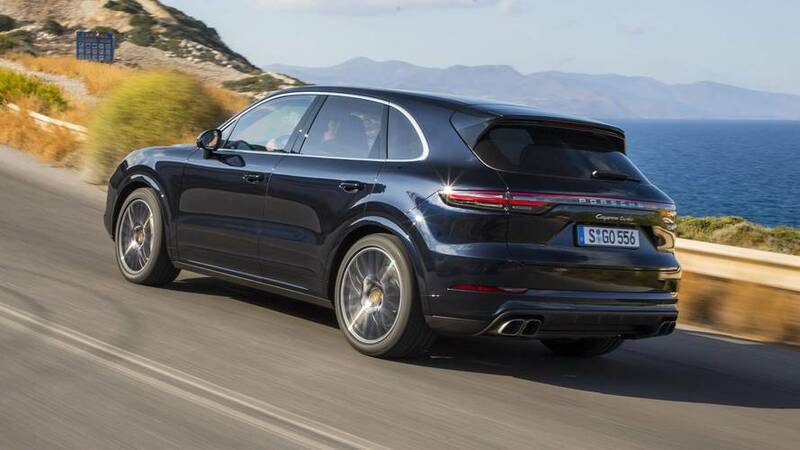 The top speed is rated at 284 km/h (176 mph) and the German manufacturer says the new SUV has lapped the Nurburgring Nordschleife in 7:59.74 minutes. An active all-wheel drive Porsche Traction Management (PTM) system permanently drives the rear wheels, while offering fully variable power distribution to the front wheels when needed. The Cayenne Turbo S also has ceramic brakes with 420 mm front brakes and for the first time ten-piston calipers. The rear brakes have 370 mm discs and four-piston calipers. Porsche has also equipped the vehicle with improved Porsche Dynamic Chassis Control (PDCC) and Porsche Torque Vectoring Plus (PTV Plus) systems. Standard equipment includes 21-inch alloy wheels with 911 Turbo design, LED headlights, full-leather interior and new interior styling in black-crème color. Outside the SUV benefits from a high-gloss finished radiator grille, a roof spoiler and wheel arch moldings in body color and a sports exhaust system. 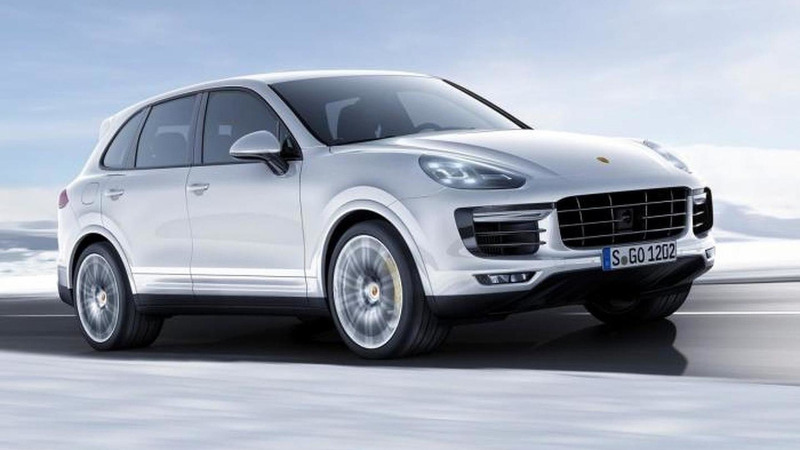 The Porsche Cayenne Turbo S will be launched in Germany in the second quarter of 2015 with prices starting at 166,696 EUR (196,850 USD).